Slade, from their US tour in 1976. Slade had long since conquered the UK charts by 1976, with a string of hits for years beforehand, where they were seen very much as part of the glam rock movement for a long time. By 1975 they were off to America to try and conquer there too, spending much of the next 2 years there touring. This gig comes from towards the end of their time in the USA. 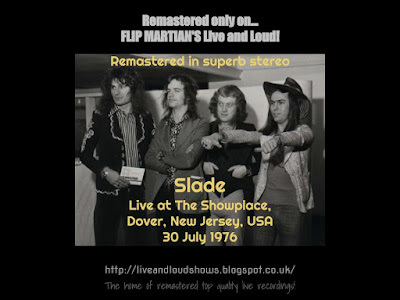 Slade always had a reputation as a great live band and this gig is great evidence of that, combining many of their hit singles with album tracks in a great performance. A flat and thin sounding soundboard recording has been restored and sounds really good now - the power of the performance only gets better as the gig warms up. Thanks for sharing this with us, Flip! - Much appreciated! Glad you enjoyed it! It's been popular, this one. 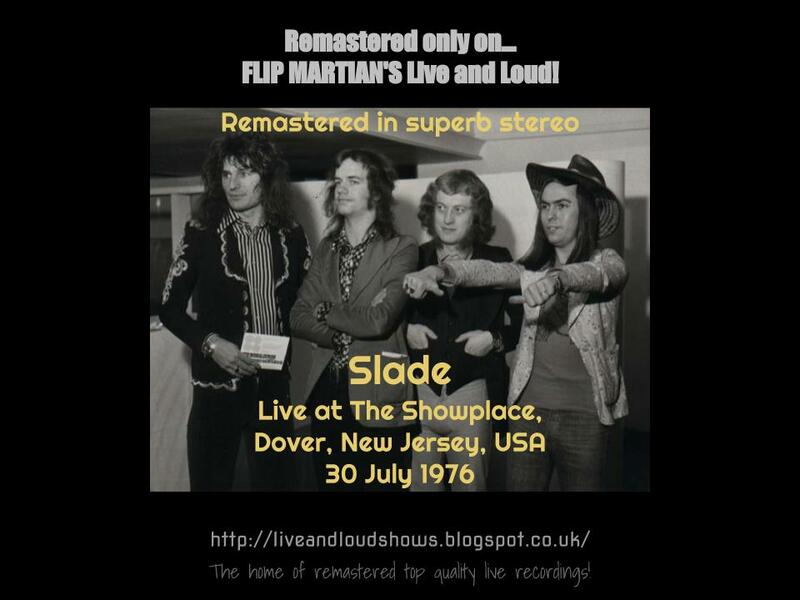 Hoping to do another Slade show over the next few months - I have a couple.